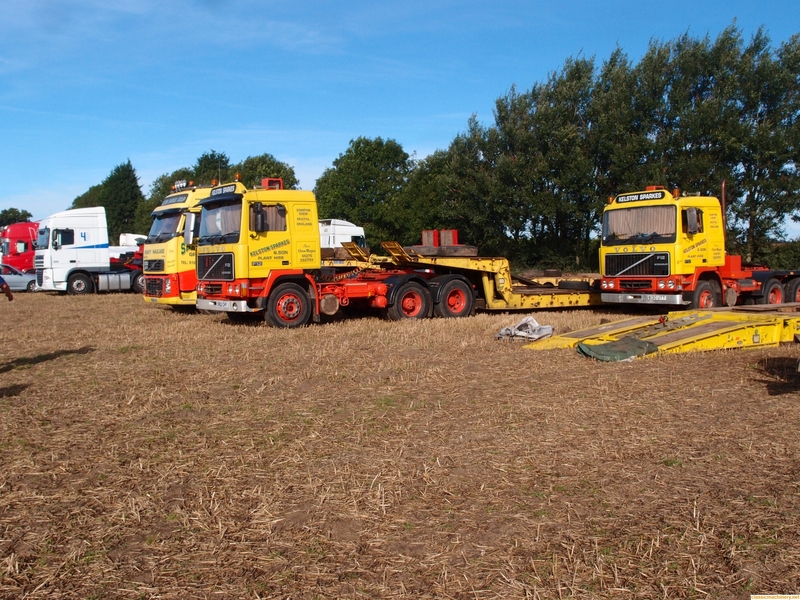 A selection of low loaders parked up at the World Ploughing Championships at Crockey Hill near York. 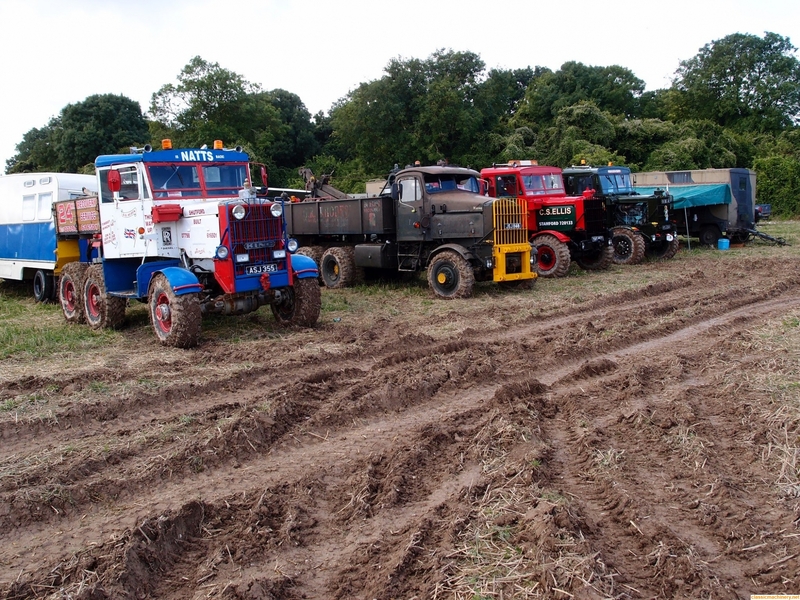 These were mostly associated with the steam ploughing boys. Another selection waiting to see the light of day. 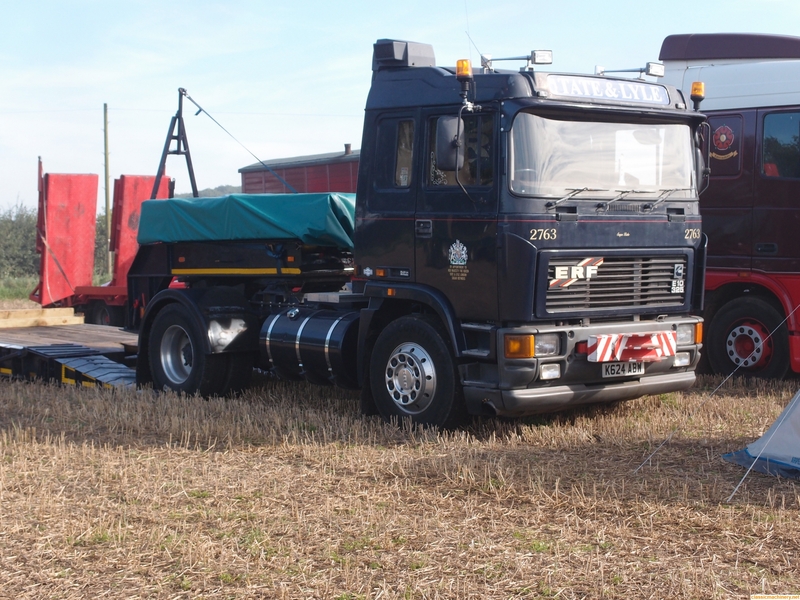 Steve Pridgeon's ERF in every day use. 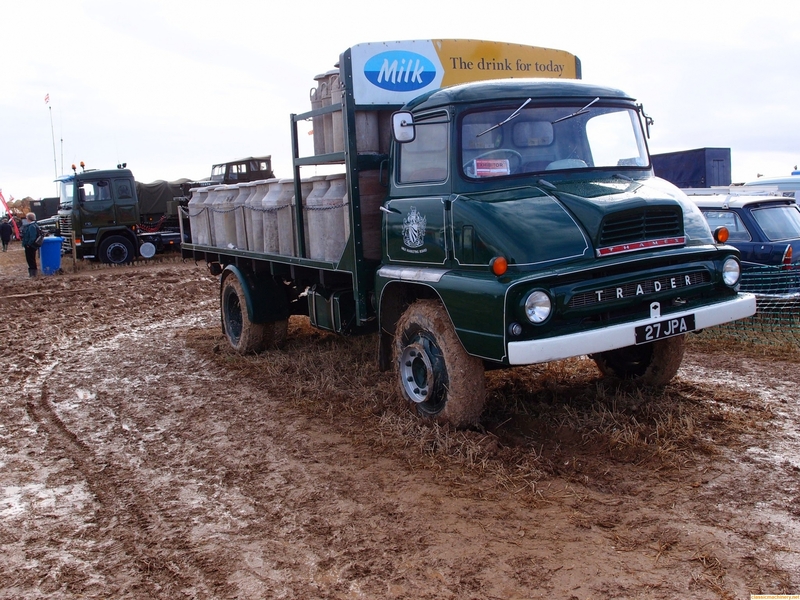 Some vehicles from the 2014 GDSF, a bit wet and muddy this one. Cracking photos Michael thanks for sharing shame the weather didn't play ball; looks like a great show. 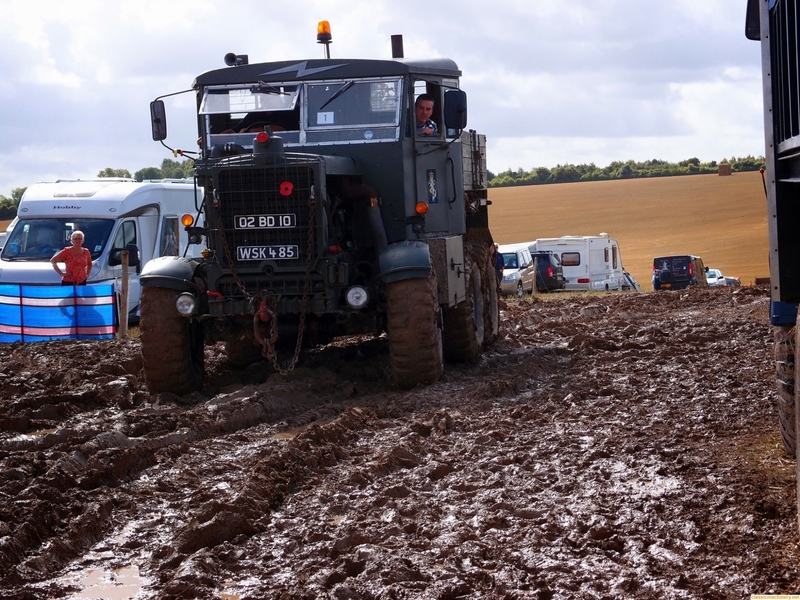 Any regulars at the Great Dorset will know it can be mud before 11am and dust at 3pm however 2014 was wet, wet, wet. 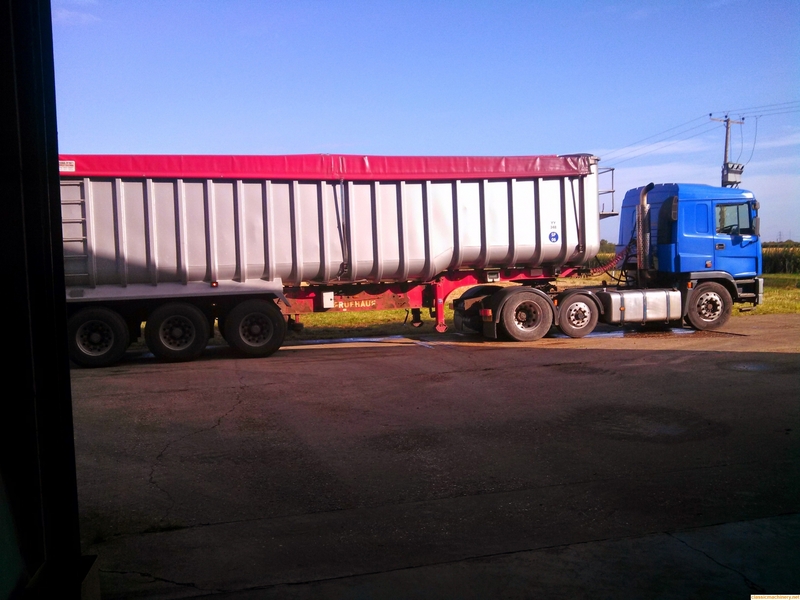 Here is our Lorry and that is exactly his name. I'm sorry that he is not as 'mature' as some here but he is almost 30y.o. then he will get Historic rego. He has lived with us now for 4 years and has taken us, a toy and a caravan to the Rallies of our choice. He doesn't do a lot of kilometres each year but he does get a lot of TLC and in this photo he has our latest toy on his back. P.S. Something I did a couple of years back now was replace his old rectangular sealed beam 'eyes' with new LED ones. What a "BRILLIANT" update for Lorry it has been. John is that a Mitsubishi Fuso truck? It certainly looks of Japanese origin, all credit to it though as it still lives on. Lorry is a FC144 Hino. Runs a naturally aspirated 6 litre engine and a5 speed box. Originally I think this model was really designed for the City as the gear ratio is a bit odd. 1st gear will climb a telegraph pole and so far I have not required it, 2nd, 3rd, 4th and 4th gears are good but the jump between 4th and 5th is very wide. 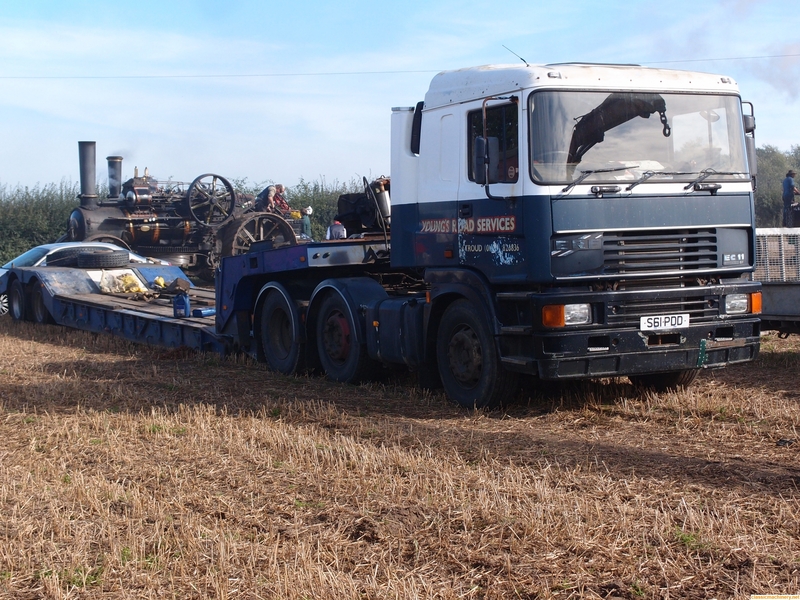 Meaning that loaded or not Lorry gets to almost 70kph in 4th then when you hit 5th it takes a bit to wind out. He will sit on 100 -110 kph but when you hit a hill you have to be under 70 kph to go one gear. 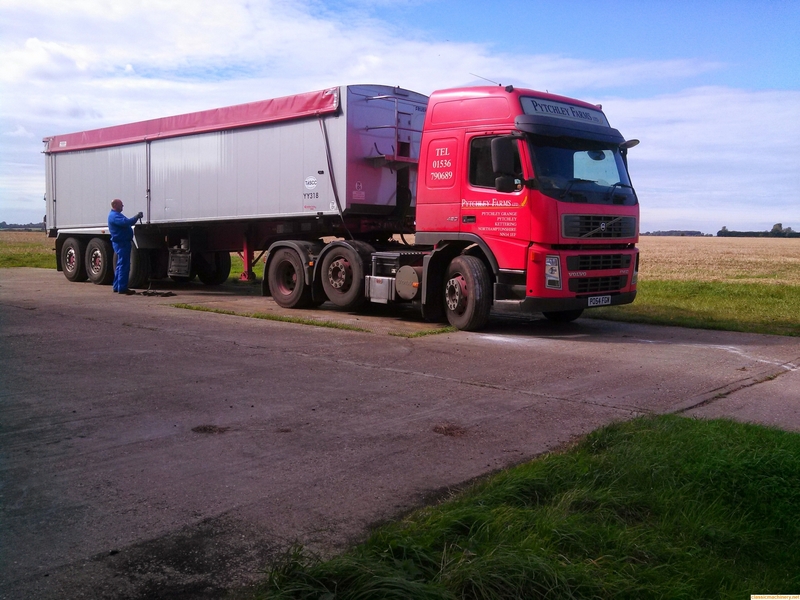 But as Lorry has joined us here and is in semi retirement mode he does what we require him to do. 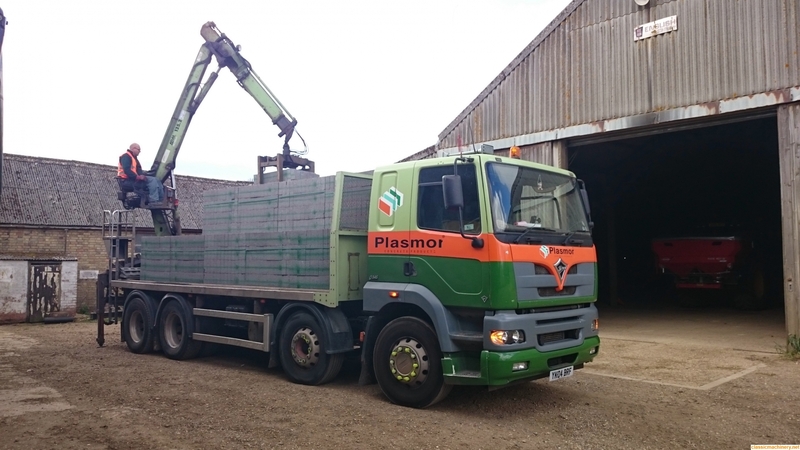 Since we have bought him home I have replaced a few parts as a maintenance issue like inline water trap, front springs and shackles and a new exhaust brake. Obvious other things are oils and filters as required. I have started the minor rust repairs and this will be ongoing and I also have to repair the drivers door bottom hinge. It is worn and I will re-pin it soon. All new bailey channel rubbers and window seals need replacing on both sides then a coat of paint will finish the cab. In time I would like to fit hydraulic rams to the ramps, I have a pump just need the rams and there is a 8 ton 24v winch by Winchmax fitted up at the front of the tray to winch problem toys onto his back. We went to a local truck rally. It is known as the Yesteryear Truck Show at Wauchope NSW. We usually take a tractor or some old hit n miss engines but this time we took the latest toy a Liner Roughrider dumper. 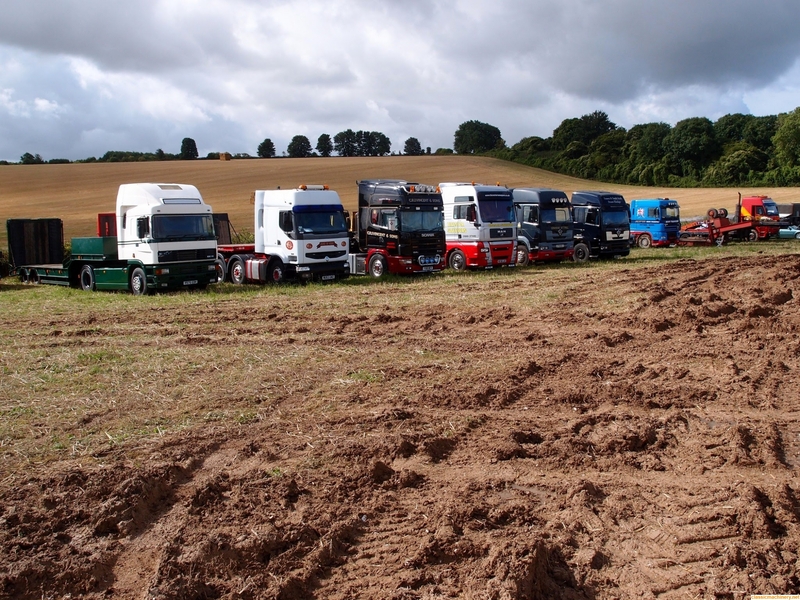 The show has grown so much that there was a very full main arena and that some trucks were parked outside of the arena but still onsite. Thought you might like to see a couple of the pics. If you look closely you will notice that the turntable holding the dozer which is sitting on a couple of logs sawn in half is also sitting on a timber frame. 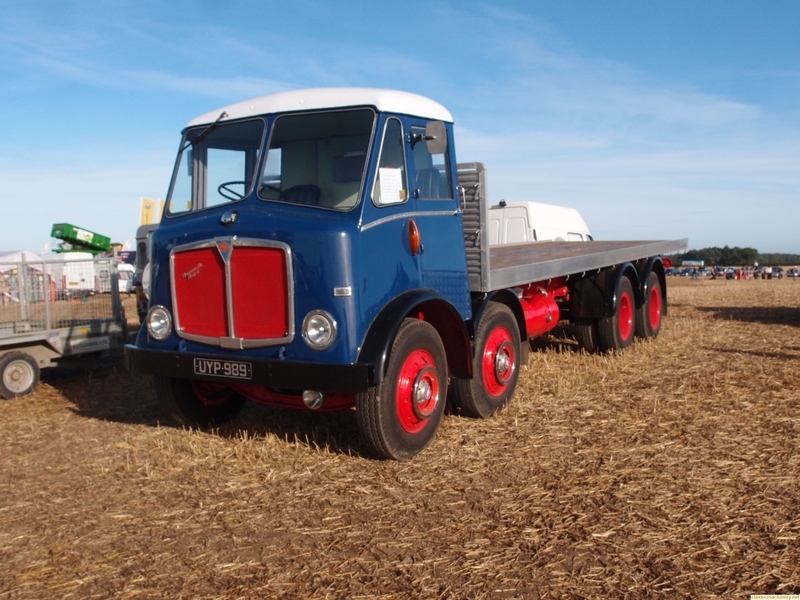 This was absolutely original back when the old Mack was first registered new. 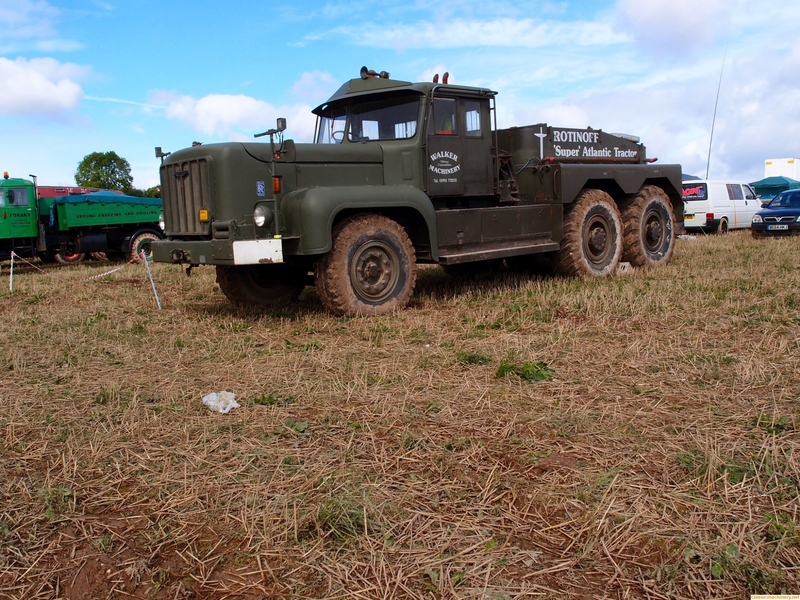 The Mack runs a supercharged Rolls Royce engine and sounds beautiful as it gets driven around the track. One of the general shots of the arena full of "oldies but goodies". Here is Humpty Dumpy at his first Rally with us. 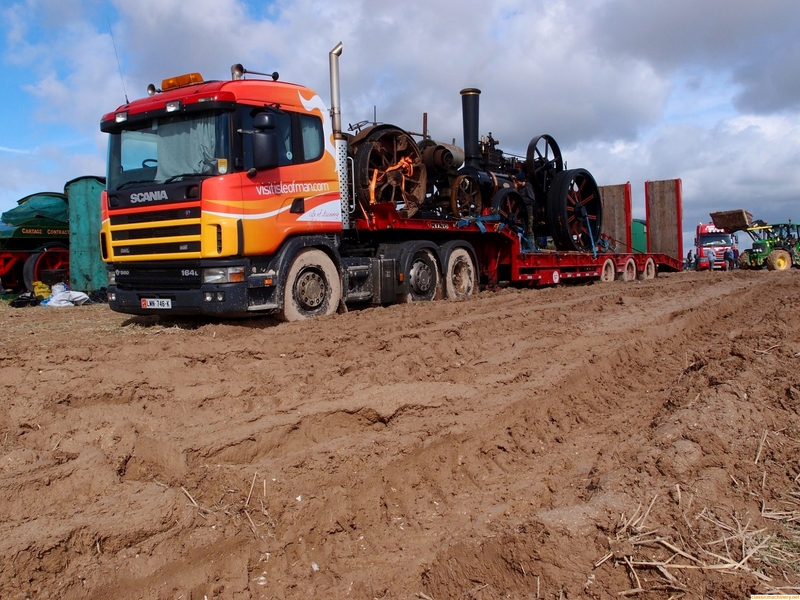 It is a Liner - Roughrider 1250kgs model with a 2 cylinder Lister diesel. 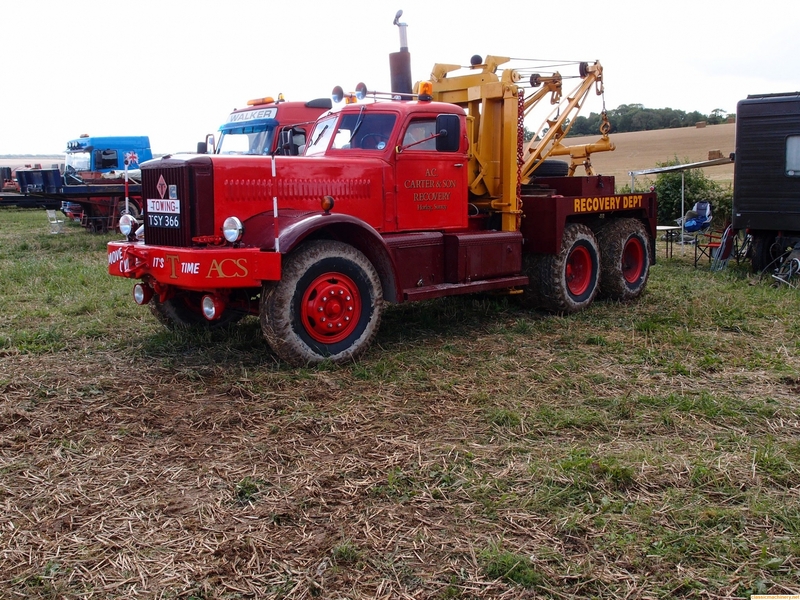 The beautiful tractor in the back ground is a Chamberlain 9G restored by one of our fellow Club members which is such a beautiful job in restoring and presenting. Georges truck is in one of the previous pictures. 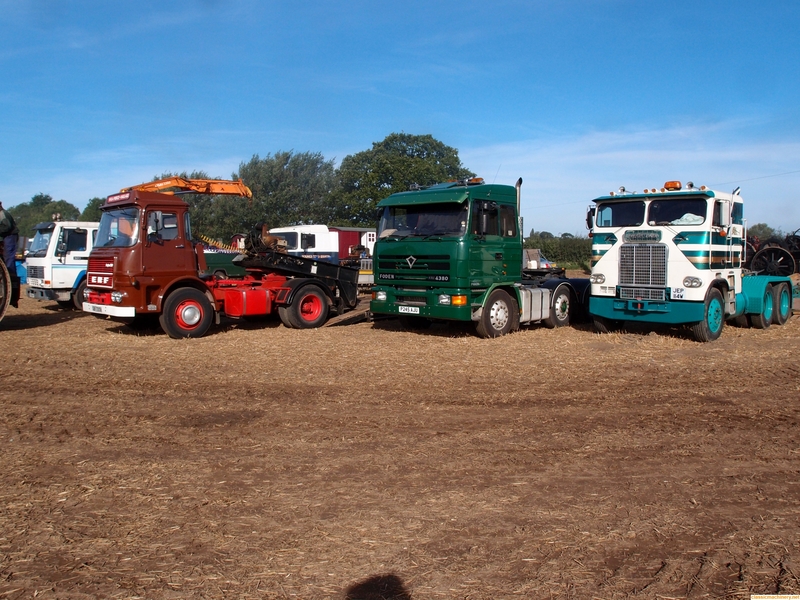 It is the Mack parked next to the gazebo in the foreground, it too is presented very well.